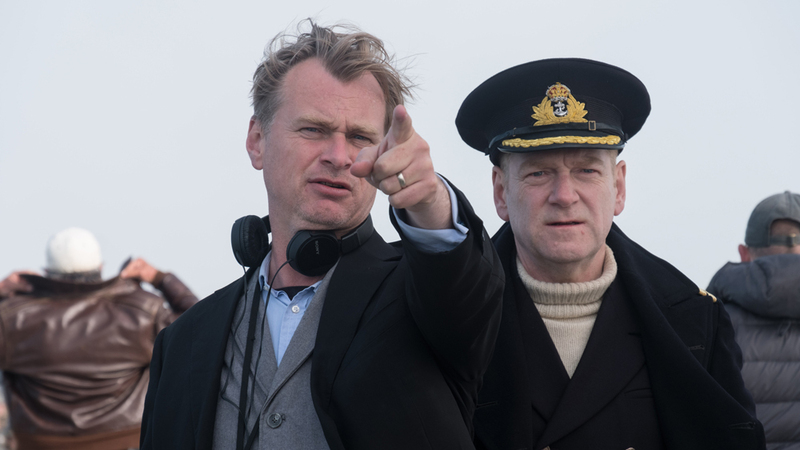 Christopher Nolan directing nearly-Withnail Ken Branagh in Dunkirk. In what I'm pretty certain is a first, a selection from the soundtrack to Withnail and I has been chosen as a Desert Island Disc. Everybody's favourite future Bond movie director Christopher Nolan includes 'Marwood Walks' as one of his eight pieces of music to be cast away with (other film-related choices include a cue by his colleague Hans Zimmer, and of course a bit of 007). Nolan says of his choice: "It's just a lovely, lovely piece of score. We first saw [Withnail] at UCL [University College London]. These screenings we would do at the Bloomsbury Theatre, and Emma [Thomas, now his wife and producer] and I would put together all-night film shows once a year, and one year we showed Withnail and I from a 35mm print. It's just a film that I connected with, first on the level that's it's an extremely funny film, but over the years it's sort of taken on a much more emotional, much more melancholic feeling for me. I think a lot of that is to do with this beautiful music." Hear, hear. 'Marwood Walks' is (I think) the cue heard in the film when Paul McGann emerges from Crow Crag into the daylight the morning after they arrive. Wrapping his overcoat around him for warmth, he looks at the view (which the movie cheats: he 'sees' Haweswater, which is actually miles away from Sleddale Hall). The incidental music for Withnail, by David Dundas and Rick Wentworth, is, of course, utterly brilliant. It's easy to downplay its part in the overall effect of the film, but for me, I tend to notice it more and more every time I re-watch the film. The current link to Nolan's Desert programme is HERE. The BBC usually archive DID to be available 'forever', so this famous fan's little tribute to Withnail should be there for future generations to enjoy... even when mankind has to go live on the other side of a wormhole. Also worth mentioning: David Dundas wrote the Channel 4 'jingle': the little tune that played every time the 4 logo did its revolvey thing. It used to earn him £1,000 a week in royalties!